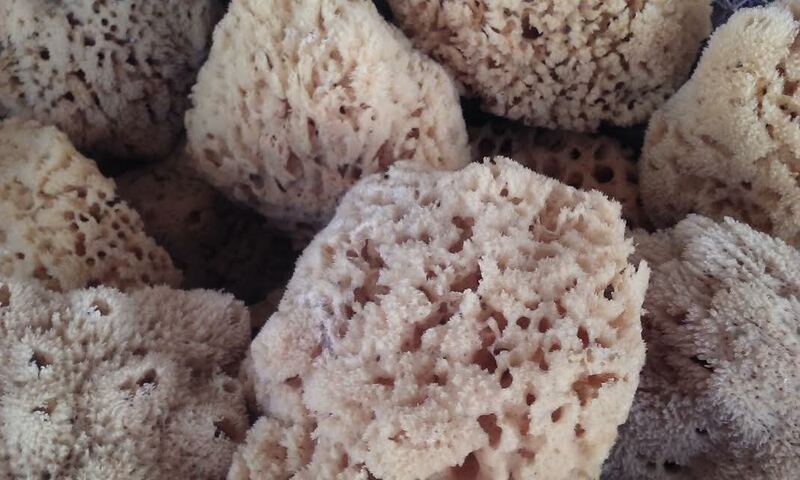 Tarpon Springs: the sponge capital of the world. 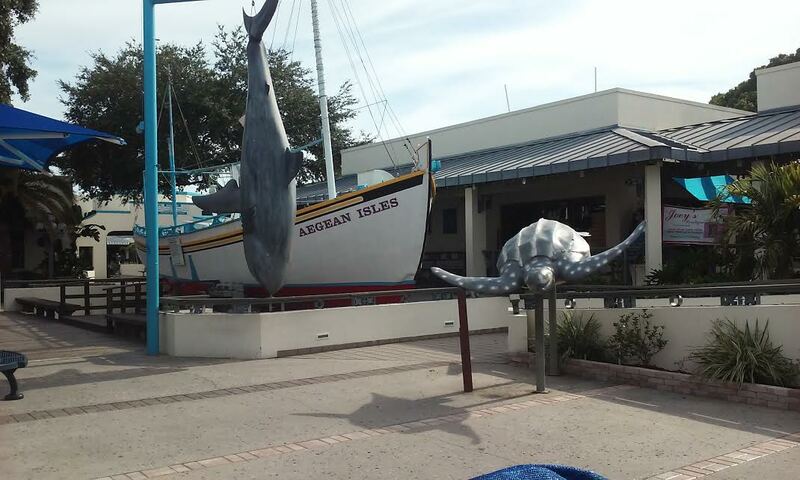 This afternoon, my son and I drove to a cute little town about 12 miles south of here, called Tarpon Springs. The town has an interesting history. It was founded as a fishing settlement by Greek settlers, so there is a large Greek population and many Greek restaurants and bakeries. Unfortunately we didn’t eat out (he’s cooking at home tonight to save money but I know whatever he cooks will be great) but we did spend about an hour and a half just walking around, window shopping and looking at the boats on the dock. Most of the boats have Greek names, sport the Greek flag, or refer to Greece in some way. 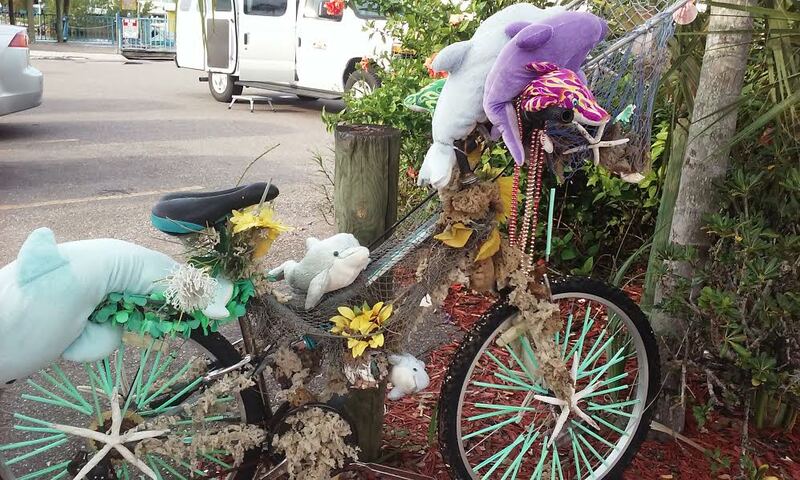 Most of the gift shops specialize in seashells from the local area and gifts made from seashells, and sponges. Lots and lots of sponges. 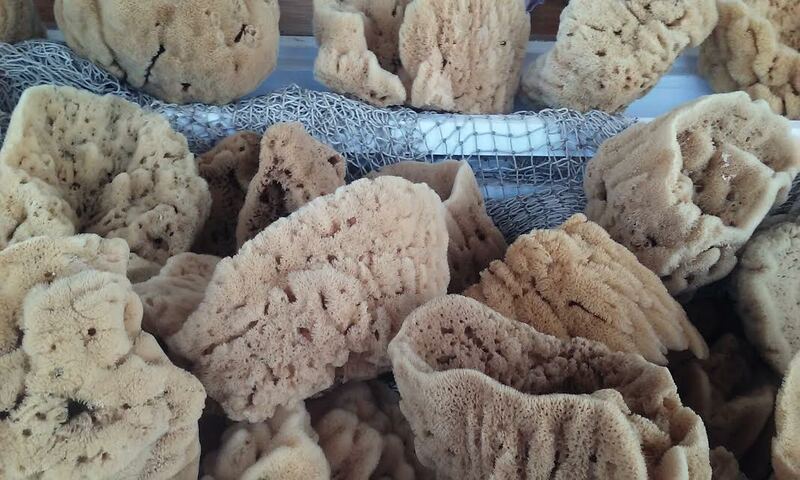 The Greek fishermen who settled here specialized in sponge fishing, so to this day, that’s the town’s bread and butter. After the sponges, there’s a lot of handmade soap, and even a store that specializes in handmade scented soaps of every scent you can imagine. I picked up a bar of eucalyptus goat milk soap. I did pick up a few small gifts to bring home to my daughter, and a hematite necklace for me. Tonight after dinner and maybe a swim in the pool, I think we’re just going to watch a movie here at the apartment. Just a nice, quiet, relaxing evening. It’s incredible how little money I’ve actually spent since coming here (most of the things we’ve been doing are free or nearly free), and how cheap it even was to drive here. I’ll actually have most of the money I’d saved for this trip left over! Guess I’ll be visiting more often. 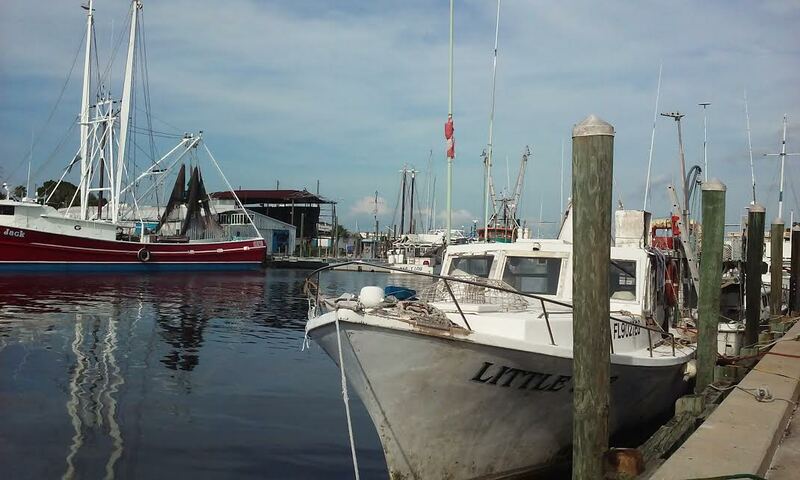 This entry was posted in Uncategorized and tagged fishing villages, Greek settlements, Greek-Americans, sponge fishing, Tarpon Springs Florida by luckyotter. Bookmark the permalink. I am! We definiely plan to check out this one Greek restaurant next time I come here (and I’m gonna make sure my next visit down here isn’t in the too distant future). It’s nearly as Greek as being in Greece. Haven’t been in years, but we used to take day trips up there when I was a kid. Very interesting history. 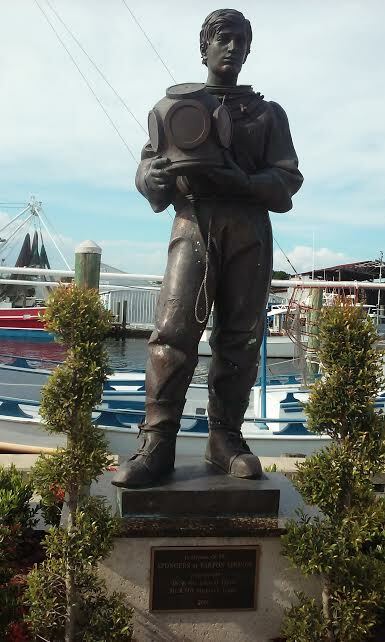 It’s funny, but my in-laws live in Apalachicola, which has a history riddled with Greek spongers as well. It’s a dangerous profession, at least it was back in the day. Interesting! I didn’t know that about Appalachia, and I live in the southern Appalachians. What part of Appalachia? Ah, ok, I will ask him about it. Thanks for taking your readers site-seeing with you! I love it, I’ve never been to Florida so getting to see it as a vicarious tourist is lovely! You take pictures of what I’d want to see! Sounds like the trip to Florida is just what the doctor ordered. I always like finding new little towns when away from the native homeland. Next time you will need to order a huge gyro and send me a picture!